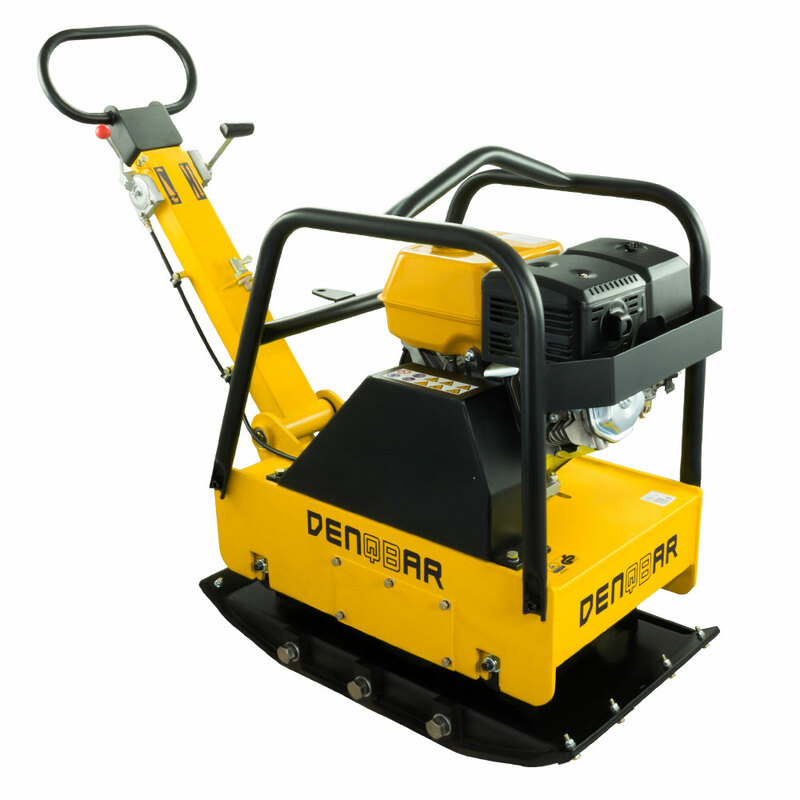 We highly recommend our plate compactor DQ-0221 to all the passionate users needing a little more power when compacting. 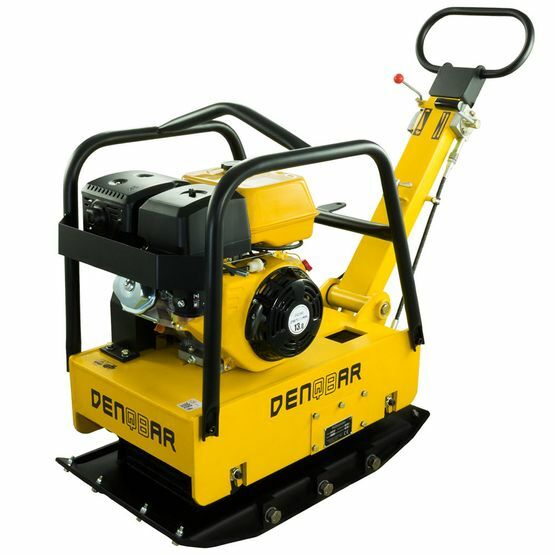 With its operation weight of 270 kg, this plate compactor has a huge compaction pressure of approx. 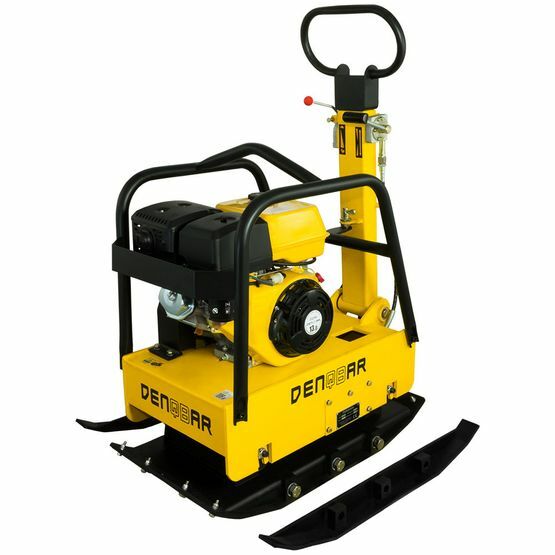 38 kN for a compaction depth of up to 90 cm. Datasheet of the DENQBAR DQ-0221 plate compactor to download. In order to meet the requirements for “Geprüfte Sicherheit” by TÜV Rheinland, many relevant national and European directives and standards regarding the products need to be fulfilled. This challenging quality and safety test has been successfully passed by our plate compactor DQ-0221 with the certificate No. S 50346570. With its easy-to-access control elements, you can switch between the forward and reverse modes of the plate compactor. It's simple and efficient. 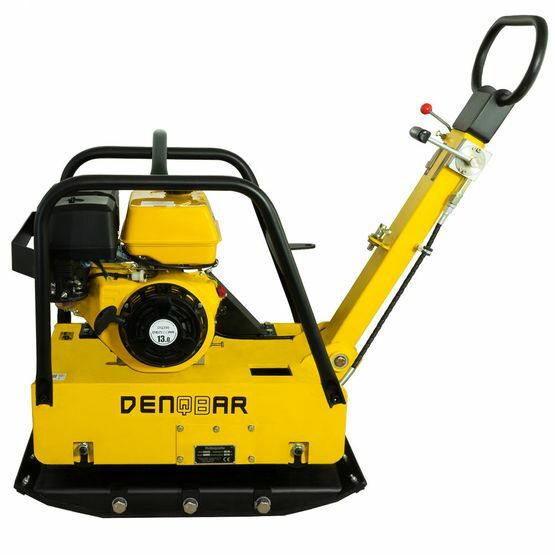 Therefore, the compaction of sewage ditches, asphalt surfaces, house foundations, etc. succeed not only fast, but also high quality. The wear-resistant base plate as well as the robust protective frame against unintended damage from minor accidents on site grant a longer service life. 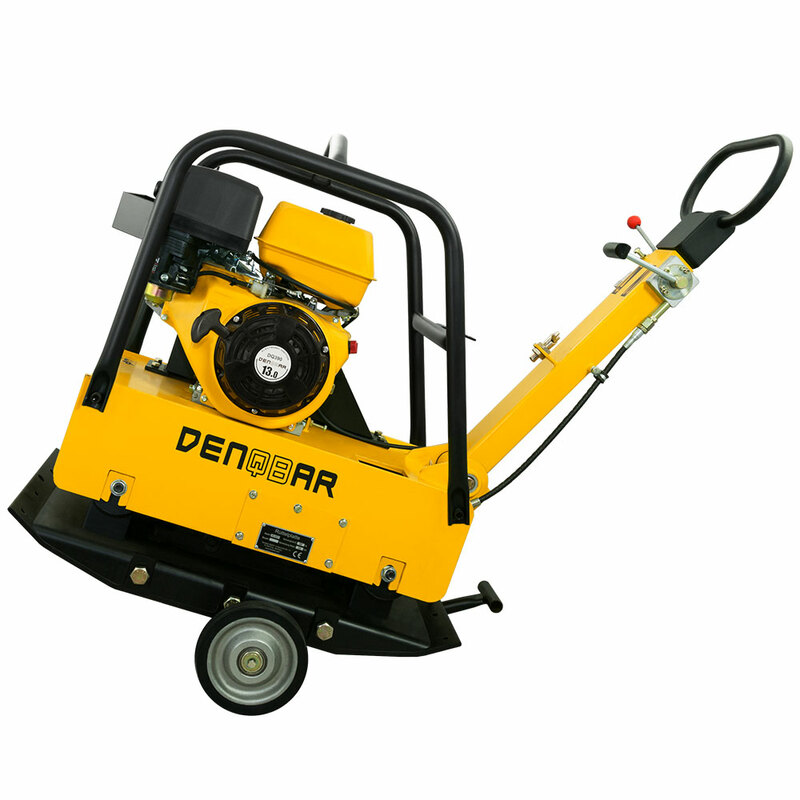 Due to its open design, the amount of dirt is considerably reduced, which is why the DQ-0221 is a very low maintenance product. DENQBAR - the perfect definition of professional quality at an attractive price! 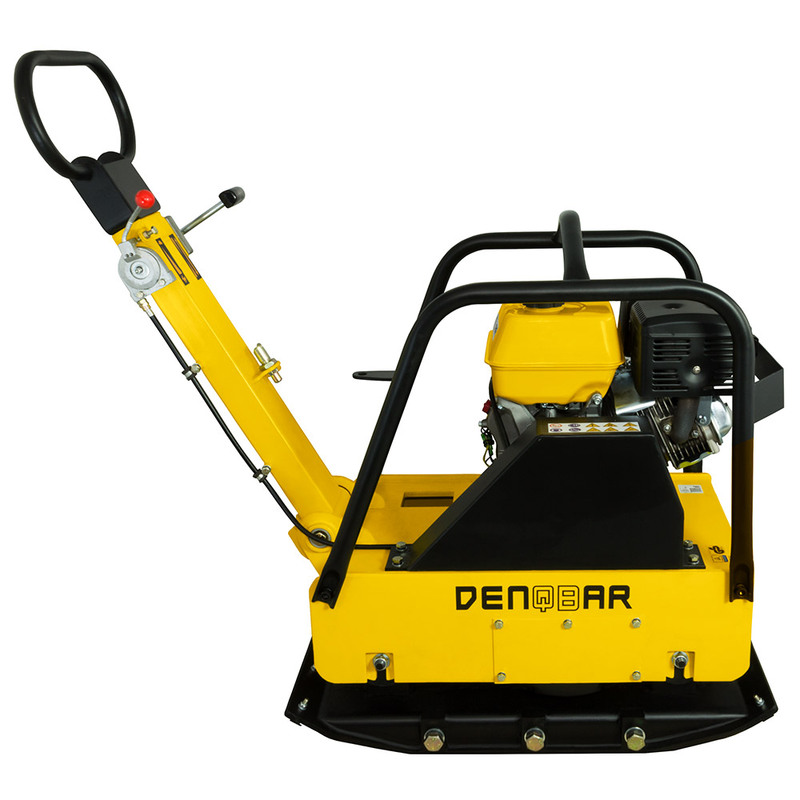 For almost a decade, DENQBAR has been a reliable partner concerning plate compactors. Definitely, this is a result of our loyal clientele and our high quality products, which have already won numerous awards following comparative tests organized by specialized magazines.